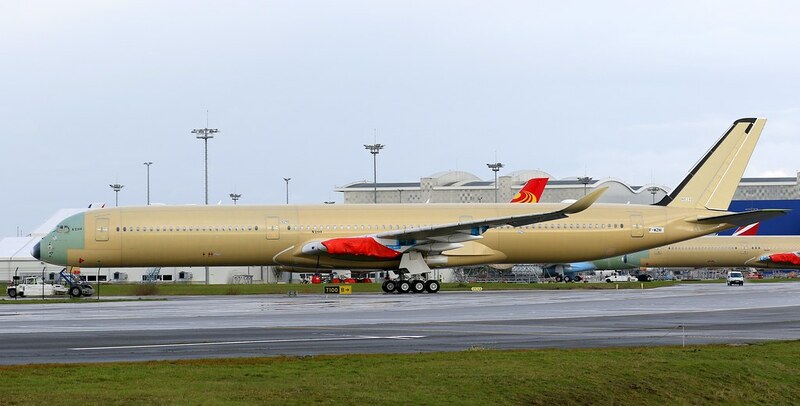 Does anyone know when we should see Virgin's first A350 painted, or at least the tail painted? Really looking forward to seeing this one out! Does anybody have any idea when British Airways's first plane heads into the FAL? Not a clue but it is MSN 326 and delivery due July 2019, if that helps. Has DAL #12 been delivered and does it have the new winglets? A 350 Domestic evidently does multiple short hops with no limitation. (?). Does that tell us anything about smaller modern jets operating in Hawaii? They all have the new winglets since MSN 216. It's busy doing CAF flights. The Love bus?! Steady on! Actually it's not new. It's a kind of retro livery. It was already mentioned in another thread but I couldn't find it. Now, before anyone conjures up ideas of the mile-high club, let's just say the airline revived this image on its aircraft as their goodwill message to the world. Here you are..... viewtopic.php?f=3&t=1413215 ..... and I suggest these comments about the livery are better discussed there instead of here in the P&D thread. Is anybody aware what kind of testflights MSN001 is currently doing ? Could this be in reference to the JAL Version 942 ? It looks like MSN002 is also back in TLS. Is that Frame maybe sold ? Hopefully, testing of this last frame in the batch would proceed smoothly...so it could also be painted with the "tweaked" livery and delivered soonest. And so the rumours are true. Now will they cancel the entirety of the order? Or will they keep some? An A350 leaving the FAL with a white tail does not mean the order is cancelled. A few others have left the FAL with white tails and have went on to be delivered. 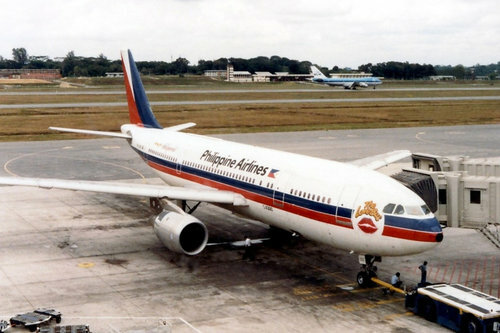 It left as a white tail because it was originally supposed to go to Sri Lankan Airlines, which was NTU. Looks like the same is happening with Etihad here. Are EY liable for staged payments on the plane until they find a substitute buyer, or formally cancel the order and pay any penalties in their contract for doing so? How many EY frames are to be built this year ? From this https://sites.google.com/site/a350xwbpr ... ction-list .I can see two but there's about 24 LN slots with missing information i wonder if a airline like TK can take up EY slots after the first two EY frames and convert these into the 359 thoughts ? Three parts to purchase finance - pre-delivery, delivery and post-delivery. Sometimes all three are rolled into one. Often, on a new aircraft lease, the leasor is the buyer, so they take care of all three stages of finance. On a sale/leaseback, the leasee takes care of pre-delivery and delivery finance (this doesn't necessarily mean they directly fund), as per EK. Irrespective, either directly to Airbus, or indirectly via financiers, EY has already partly paid for the air frame, engines, and other related costs. All that are missing are the final two payments on the engines (one if EY engines already delivered or fitted, as opposed to Airbus mules) and two on the air frame (paint & delivery), and perhaps fit out, depending whether included or excluded (on new leases, leasee's often prefer to 'own' the interior, so at end of lease returned bare with no branding, or leasor pays for the residual value of the interior). Unless someone is privy to the precise agreement on THIS aircraft, and when it was notified / varied, and what if anything the parties agreed to forgive, it's impossible to know. Re: MSN 290, i would caution the conspiracy theorists. I am still showing it is going to EY - with EY getting another 3 in 2019 on top if it (315 - which is 3rd in line to enter FAL, 330 and 342). White tails mean nothing. Practically all of QR's frames exit FAL with "white tails". VS also came out with white tail. When are MSNs 65 and 71 due out of rework? Seems like they've been in for rework for a long time. Oh that's crazy. Never would have guessed that much work is involved. There are thousands of sensors and miles of cabling to remove and to make good any part that needs to be brought up to production spec. I am not surprised it takes a long time to resolve. I’m pleased to see January being such a productive month. Coming after a less manic than usual December gives me hope that Airbus are starting to solve their year end production panic . EY’s 1st, MSN 290, what does the future hold for this frame? Outfitted, painted, engines and delivery. There is a lot of speculation about Etihad not taking those frames, but I have yet to find something from a reputable source, or Etihad or Airbus about deferrals or cancellations. It is quite obvious to me that this one is not going to EY - the tail fin is left unpainted. We normally see the tail fin painted even though the fuselage is still in primer. The fuselage is ALWAYS in primer after P18. All QR frames had no painted tail at that point. Normally yes! But there have been exceptions! What’s the story behind the Virgin A350? They posted a video of it getting painted awhile ago.. Where is it hiding? Even there , I can see Virgin Atlantic brand on the wing sharklets . There appears to be no branding on MSN 290 about it. Still doesn't mean much. A lot of QR frames rolled out like this. It's a bit late to announce a cancellation. I've read somewhere that they're taking five A350-1000s, however has another said, no reputable sources yet. Etihad's brand is not painted on their winglets, even on the "inboard" side. So it does not help much. The colour on this A330's winglet is not exactly the same as MSN 290 above though.